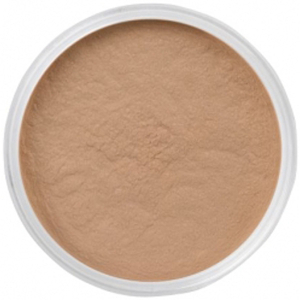 Perfect and prevent with bareMinerals Blemish Rescue Skin-Clearing Loose Powder Foundation, a full coverage loose mineral foundation infused with 0.5% Salicylic Acid to help fight acne. Promoting clearer, healthier-looking skin, the non-drying powder foundation is clinically shown to clear acne in as little as three weeks*. 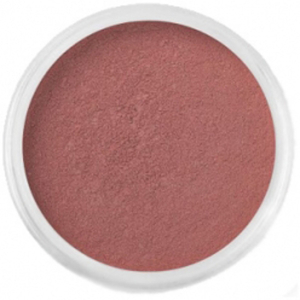 It contains ultra-lightweight mineral pigments to deliver breathable, buildable full coverage with a natural matte finish that lasts all day. Targeting current spots while helping to prevent future ones, the skin-clearing makeup utilises a blemish-busting mineral blend of Zinc, Sulfur and Kaolin Clay to mattify and purify, plus soothing Oat Protein and a Moisture Mineral Complex to keep skin hydrated. Calming and camouflaging, the gentle foundation will conceal and correct the appearance of skin while fighting to keep skin clear over time. Suitable for all skin types, including oily and acne prone skin. Free from parabens, sulphates, fragrances, talc and gluten. Non-comedogenic. Non-acnegenic. Not tested on animals. *Based on a 6 week clinical study of 30 women. Active Ingredients: Salicylic Acid 0.5% (Acne Treatment). Inactive Ingredients: Lauroyl Lysine, Mica, Hdi/Trimethylol Hexyllactone Crosspolymer, Glycerin, Silica, Magnesium Silicate, Kaolin, Water, Oryza Sativa (Rice) Bran Oil, Honey Extract, Boswellia Serrata Extract, Vegetable Amino Acids, Camellia Sinensis Leaf Extract, Aspalathus Linearis Extract, Glycyrrhiza Glabra (Licorice) Root Extract, Butylene Glycol, Avena Sativa (Oat) Kernel Extract, Chamomilla Recutita (Matricaria) Flower Extract, Arnica Montana Flower Extract, Sodium Hyaluronate, Sulfur, Stearyl Triethoxysilane, Maltodextrin, Potassium Palmitoyl Hydrolyzed Oat Protein, Hydrolyzed Oat Protein, Olea Europaea (Olive) Fruit Oil, Helianthus Annuus (Sunflower) Seed Oil, Phenoxyethanol, Phytosphingosine, Panthenol, Aloe Barbadensis Leaf, Allantoin, Tocopheryl Acetate, Tetrapeptide-14, Beta-Glucan, Benzoic Acid, Betaine, Lecithin, Humic Acids, Sodium Benzoate, Dehydroacetic Acid, Ethylhexylglycerin, Chlorphenesin. May Contain: Titanium Dioxide, Iron Oxides, Zinc Oxide. Depois de muito procurar uma base que não tivesse silicones na sua composição vi esta base em pó da BareMinerals que cumpre muito bem as suas funções. Nunca tinha utilizado base em pó mas adorei, ela não tem alta cobertura, é uma cobertura mais leve mas perfeitamente suficiente para o dia a dia e tem acabamento mate. Ajudou também bastante com algum acne que tinha, tendo melhorado a aparência da pele. Recomendo para pele oleosa ou mista.